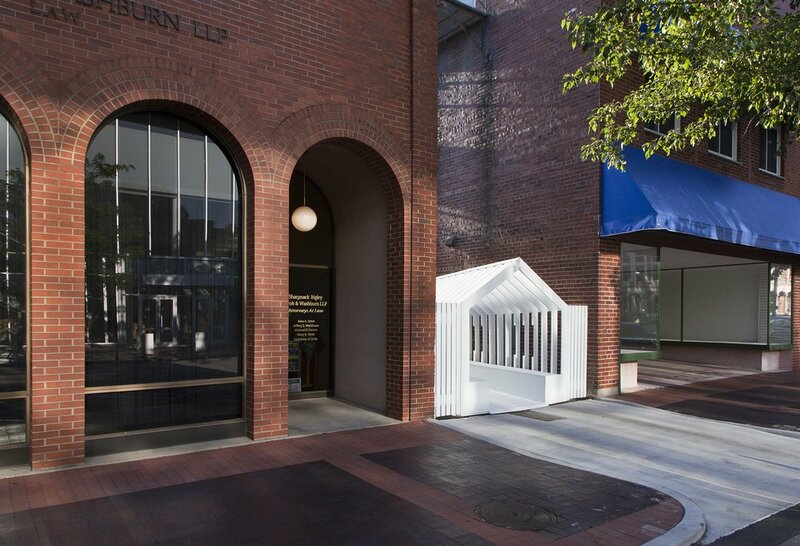 Playhouse is a site-specific installation commissioned for Exhibit Columbus, the annual architectural event celebrating the city of Columbus’ rich architectural heritage. The concept for the pavilion starts with the premise that most architecture is designed for the scale of adults, but is often reinterpreted by children for new and imaginative purposes. 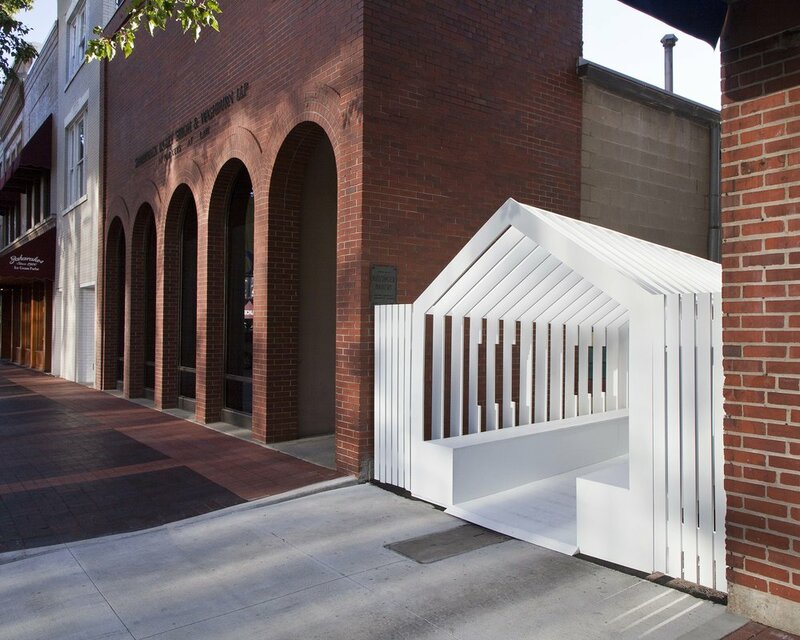 Playhouse is a small structure, inserted into the streetscape of Washington Street, that is designed to highlight the discrepancy between how adults and children experience and respond to scale and proportion. 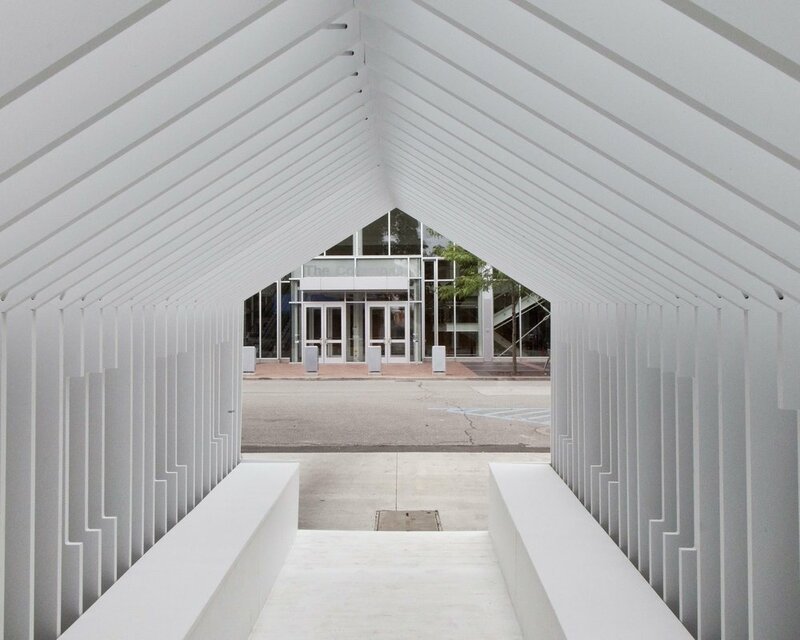 Using forced perspective to create the illusion of an unexpected depth, the structure creates a link between these two worlds, inviting visitors to play and explore. 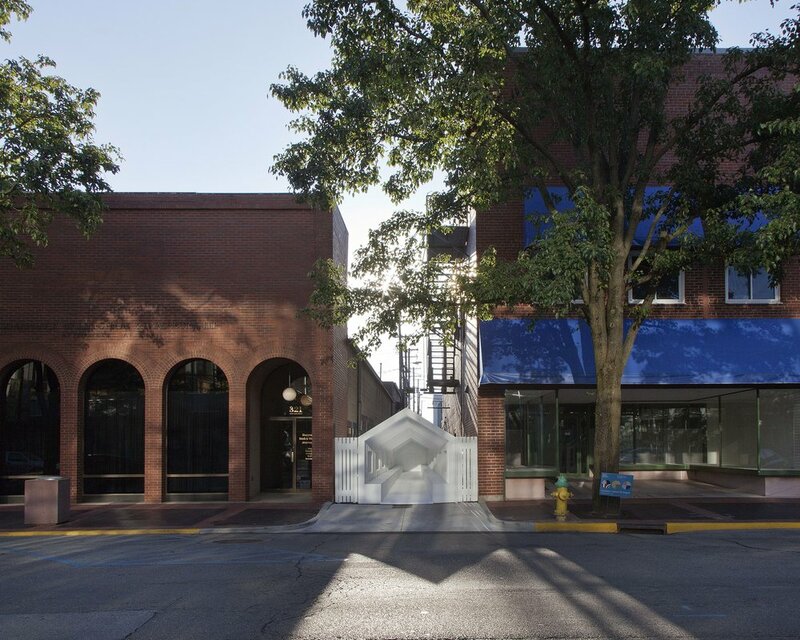 Encouraging a conversation about the relationship between the citizens of Columbus and the built environment that makes up the fabric of their community, Playhouse seeks to instill an understanding and appreciation of design and architecture in the younger generation.